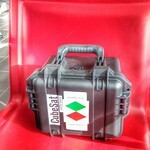 This article is a logbook of the Environmental Test Campaign performed at ESA-ESTEC from March 30th to April 3rd! Raffaele and Gerard talk about their adventure. At the end, there will be soon a Flickr gallery with all the photos of this amazing experience! The starting date is arrived, we are ready to begin our journey! Few days ago, last Reduced Functional Test before shipment was performed (and [email protected] was safe & sound, everything was as expected!) and all the necessary was packaged. 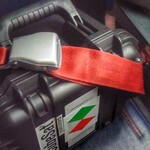 The satellite is safe in its briefcase and it’s ready to go; on the contrary we are a little bit worried for airport security, since it’s not so usual to fly with a satellite as hand-luggage! 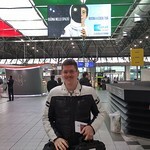 It was easier than expected to come to Caselle Airport and pass trough security checks, especially when you met a taxi driver and a security officer really passionate with space-related subjects! The satellite within its briefcase passed through X-ray and then explosives checks. Now we are waiting for the boarding, but it’s gonna be a long waiting as strong winds in Amsterdam are causing large delays. Flight was scheduled on 11:40, but we are still there…. Satellite seems to dislike going away from Turin! Finally, boarding has begun! See you in The Netherlands. We are arrived in the hotel (in Leiden). Except for the flight delay, it’s all as expected, cold and windy weather included! 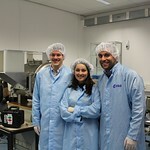 This is the official first day of test campaign at ESTEC. Thanks Joost for picking up us at the hotel; we have 4 heavy baggages (satellite, GSE, camera, etc) but it is still difficult to walk straight ahead with this wind! 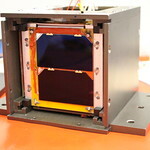 First activity was the CubeSat inspection: it looks fine and very nice….but the problem is just around the corner! Indeed, we need to fix all the bolts and screws with a proper epoxy. So, unfortunately, we have to face an afternoon to spend entirely disassembling the structure, fasten all the screws with a proper torque and then glue them! 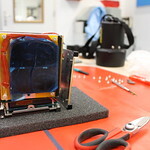 We did not expect it, but we have to see the satellite naked again! Reduced Functional Test is approaching…. some few screws to fasten and glue and then we are ready! Let the show begins…. Keep your fingers crossed! This was a very long day…. We are now exiting the ESTEC, the RFT was successful and then [email protected] was integrated into the Test POD: we are very happy and proud of the work done today! We just arrived at ESTEC, ready for the test. 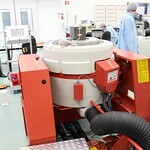 We are proceeding with the installation of the Test POD on the shaker. 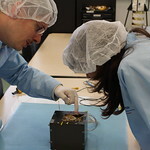 After exchange different opinions, together with ESA expert we decided how to fix the wires on the Test POD and the shaker. We now start the Test Readiness Review. We will discuss about the test set-up, levels and duration as well as other issues that could impact on the test execution. We successfully concluded the TRR. All the needed decisions have been taken. We have the go! for the test. Now… it’s time for launch. We are starting the test… keep the fingers crossed! Sine sweep successfully conducted! No resonances have been found. Random vibration of X axis is going to be conducted. Problems are always around the corner. 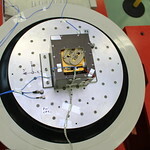 During the inspection after successfully conduction of random vibrations we have noticed that a little desoldering on the antenna deployment system occurred. We are now assessing how to proceed. We just concluded our assessment taking also into account also valuable advises from ESA experts. Two options have been individuated: to continue with a non-optimal fixing of the soldering which would allowed us to conclude the test, or stop testing and further investigate the problem. We selected the second one: it allows us to increase our confidence in the mission success and we avoid to take unnecessary risks that would make no sense. However, tomorrow we will try to find any other optimal solution that would allow us to continue with the test campaign. 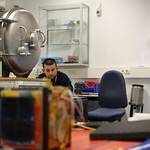 We reached the laboratory after our bags have been inspected in a routine control by ESA security at ESTEC main entrance. We are ready to work hard to find the best solution for the problem we encountered yesterday. 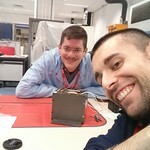 “Torino, we have a problem!”… In our little, we relived one of the most famous scenes of the “Apollo 13” movie: we are in ESTEC with the satellite, and the rest of the team from Torino is using backup components to try several alternatives to solve the problem we had yesterday. After different proposed solutions from both sides and some teleconference with our colleagues in Torino, we identified the best solution. 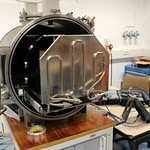 However, we decided to implement it in our laboratory to avoid unnecessary risks due to hurry. 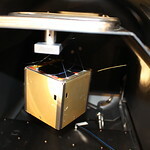 We will now proceed with the de-integration of [email protected] from the Test POD, so we can conduct a Reduced Functional Test to verify its functionality before packing it to travel tomorrow. 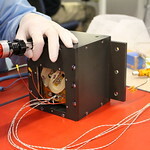 We just finished the Reduced Functional Test and it concluded with the results we expected. 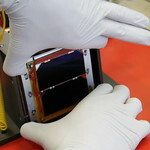 We are going to define now, together with ESA Education Office members, the activities we will conduct tomorrow: a check of the set-up in the MARSSIM for the thermal-vacuum cycling test, followed by a test transmission from the inside of the chamber, and then concluding with a balance test of the CubeSat. 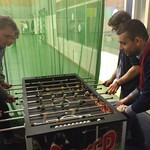 Following what it already seems a tradition in this test campaign, we are now on our way to ESCAPE for a beer and foosball matches… Who will win? Today we arrive a little bit late but ready to face the last day of the campaign. We are starting the Post Test Review during which we are going to review all the activities conducted in these days and to plan the actions to be conducted based on them. 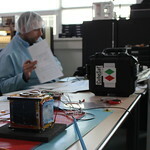 Back in the laboratory, Alberto Busso joined us for a test on the MARSSIM with back-up of the structure and antenna. We will now evaluate the best way to install [email protected] in the chamber and we will conduct a RF communication test. We conclude the test. 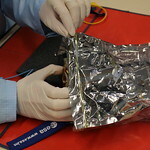 The correct way to install the CubeSat in the MARSSIM has been verified and no problems have been identified during the RF communication test. It’s time to lunch! We are on our way to the ESTEC canteen. 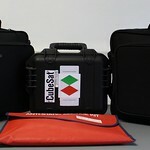 Back to the laboratory, we start to pack all the GSE and [email protected] to go back home. We are in the offices of the ESA Education Office. 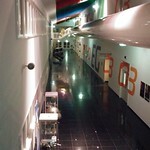 The time to leave ESTEC is approaching. We are greeting ESA Education Office members and thanking them for this opportunity. The time to leave ESTEC arrived. We are now leaving the biggest ESA establishment to go to Schiphol airport. 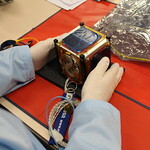 It still remains more than 4 hours for the flight, but we have to pass the airport security with our tiny satellite. We just passed the security control without any problems. We are ready to board and go back to Torino after these intensive but very interesting and useful experience. It has been an important work/training experience that has given the boost for the next activities. Thanks ESA Education Office! The gate opens. We are boarding KLM Fokker 50 to go back home. We are back in Turin!